Android rooting is the term that every geek person wants to try. and why not!! it gives you the ability to do anything on your android and remove all the restrictions that your Android had before. Not every person who has an android phone is rooted. However, if you feel some of your geek friends rooted your device then you might be wondering that ” is my phone rooted? “and how to check if my android phone rooted or not. Don’t worry we are here to tell you all about that. Why Use rooted Android Phone? The Only and the major reason behind using a rooted phone because after rooting, your phone becomes completely open source. So you can do whatever you want with your Android. Also, there is various application available for android that required root access to perform certain actions. In that case, you needed an Android Phone that is rooted. Can Someone Root my phone Without internet? If you thinking that someone around you can not root your phone if he/she is not having an internet connection then you are wrong. 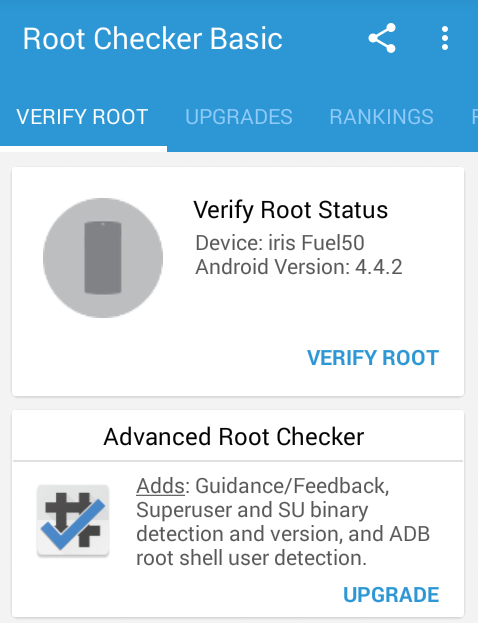 The reason that you think an android phone can’t be rooted without the internet because you probably have heard about some apps like kingoroot that roots your phone using a high-speed internet. However, your phone can be easily rooted without the internet. All you needed a PC with USB cable and phone. We are not going to explain it because it is another chapter. Check Android Phone Rooted or Not! There are two ways by which you can check your android phone rooted or not. Emulator creates an environment to test application. In this case, we will use Terminal Emulator. It can create an environment as a Linux os. Linux is open source so you can try any command in this emulator but this app needed root access to execute those commands. If your Android phone is rooted then it smoothly executes the written command inside terminal emulator and if not then it will give result back command as “Command not found”. Follow the Below Steps to Test this Method. Open play store on your android and search for Terminal Emulator. 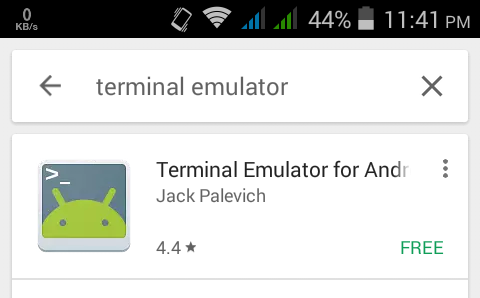 Or Use this link to Download Terminal Emulator from Google Play Store. 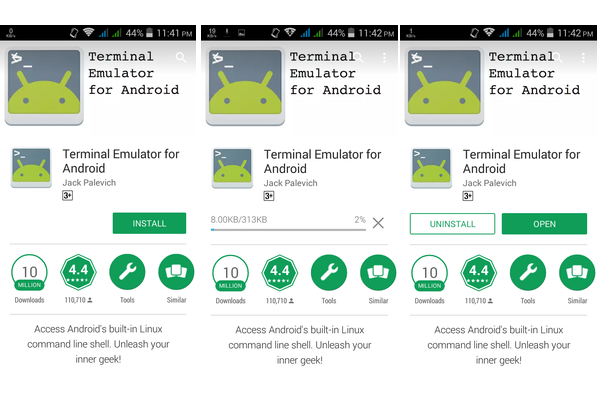 After Successfully downloading the emulator app you need to open that Android Emulator app. In order to check through this application you need to type su and then hit enter. su indicates Super User means you are giving instruction to change to super user mode. The result shown will decide that your android phone is rooted or not. 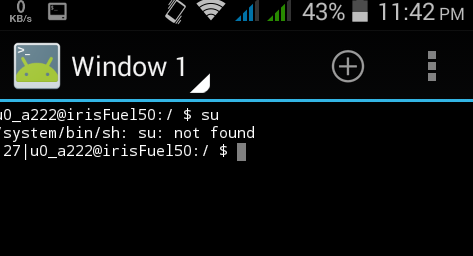 After typing su and press enter, if the return command says su: not found then your Android phone is not rooted at all. If the Symbol changes from $ to # then your phone is rooted. The Symbol # indicate root access and the su command can execute on your android then it is a rooted phone. 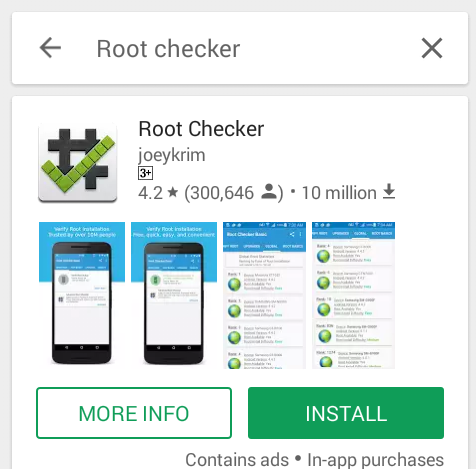 Go to Google Play Store and Download Root Checker Basic. Go to this link and install. After Successful installation, Open Root Checker Basics. Now, click on VERIFY ROOT link under verify root status box. It will show you details if your Android device is rooted or not. Tags: android phone rooted or not, is my phone rooted?